MnI Diesel Inc. is an Authorized Distributor of Caterpillar, Kohler Power Systems, Donaldson, Puradyn and Bell Performance products with over 40 years of experience. 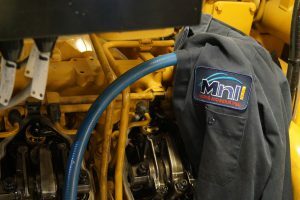 Due to our ethics and years of experience, MnI Diesel has established an impressive reputation for Marine and Industrial Diesel Engine overhaul and routine repair and maintenance service. MnI Diesel has an experienced team of seasoned and knowledgeable professionals whose focus is to always take care of the customer. We offer 24-hour around the clock service. Our factory and in-house trained service technicians understand the dedication required to provide quality service support anytime, anywhere. MnI employs certified, highly trained and experienced personnel that strive to exceed your needs.